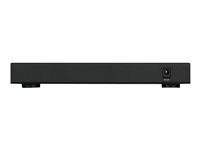 The Zyxel GS1900-8 8-Port Smart Managed Desktop Gigabit Switch with Gigabit speed and essential managing functions brings your business network more flexibility and connectivity. The Zyxel GS1900-8 8-Port Smart Managed Gigabit Switch provides powersaving functions, fanless design and full IPv6 support to ensure your network to be ready for future expansions. 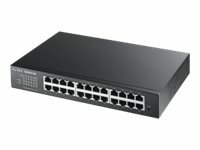 The complete Zyxel GS1900-8 8-Port Smart Managed Gigabit Switch has been designed with useful features and advanced performances that empower your networks with speed and security as well as silent operation in your office environments. Eight (8) 10/100/1000 Gigabit Ethernet Ports. Easy browser-based switch management, with quick and easy set up wizard. Supports multiple deployment methods to fulfill the needs of small offices. 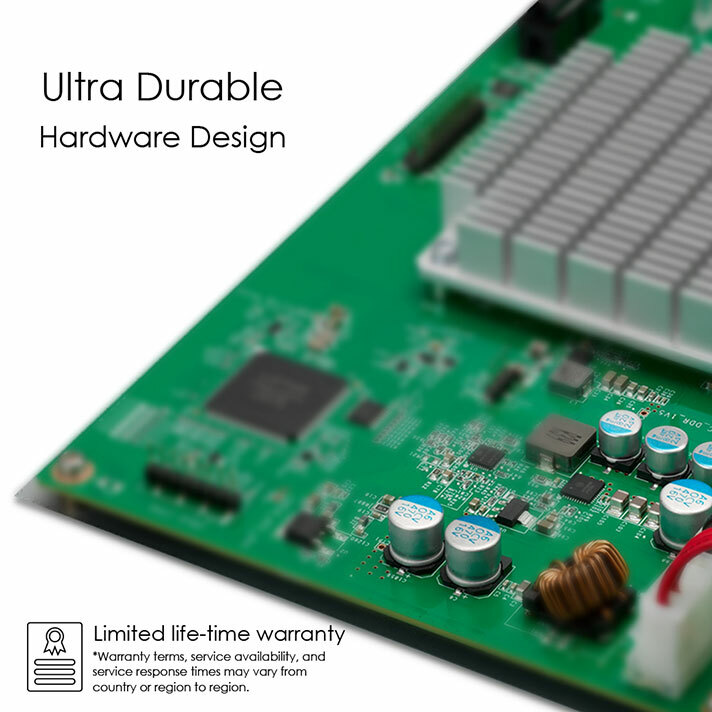 Green Ethernet IEEE 802.3az support and intelligent Zyxel green features. 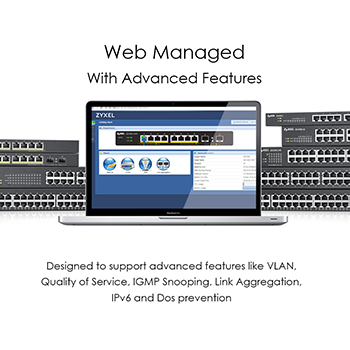 Equipped with advanced management features to keep network stable and secure. Advanced network error prevention features (loop protection, dual images, storm control, DoS and SSL). For small businesses that want to manage their infrastructure in advance, the Zyxel GS1900-8 8-Port Smart Managed Desktop Gigabit Switch comes with a friendly built-in Web-based browser for simple configuration and management. Moreover, the friendly step-by-step intuitive wizard helps avoiding multiple complicated configuration pages for quick set up with few clicks in the matter of minutes. To guide the users from start-up, VLAN, Guest VLAN to QoS setting, the Zyxel GS1900-8 8-Port Smart Managed Desktop Gigabit Switch offers four most common steps and combines them into a quick and easy setup wizard; which does not just save deployment time and efforts, but is also helpful especially for non-IT staff. 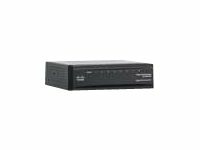 The Zyxel GS1900-8 8-Port Smart Managed Desktop Gigabit Switch is equipped with advanced management features to make the network stable and secure: loop protection that prevents network flooding, dual images to provide a backup FW if one crashes and storm control to ensure network efficiency, friendly on/off DoS with simple click to enable/disable instead of several setup pages, while SSL ensures the management frames are well encrypted when the device is accessed. 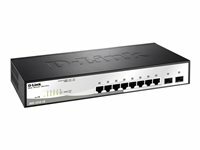 The Zyxel GS1900-8 8 Port Smart Managed Desktop Gigabit Switch provides network error prevention features and integrated network security for reduced risk and improved data streaming. As operating overheads such as electric bills increase constantly due to the arising green awareness, businesses have to avoid unnecessary energy waste. 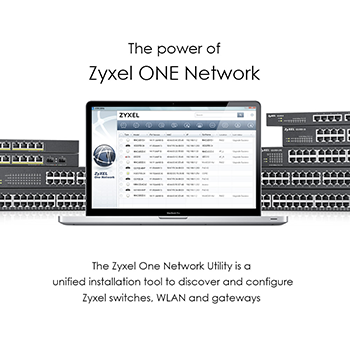 The built-in IEEE 802.3az Energy Efficient Ethernet (EEE) and more Zyxel innovative green features of Zyxel GS1900-8 8 Port Smart Managed Desktop Gigabit Switch can reduce energy consumption of Ethernet devices through multiple intelligent ways. The IEEE 802.3az Energy Efficient Ethernet (EEE) feature automatically detects network traffic and adjusts power consumption dynamically, as such the switch can reduce power consumption during low link utilisation periods. The inactive link detection function automatically reduces power usage when inactive links or devices are detected. The Zyxel GS1900-8 8 Port Smart Managed Desktop Gigabit Switch can adjust power consumption according to the link status and number of the active network devices.